Biodiesel has become the focus of global competition because it is expected to replace petroleum, and the use of waste oil, one of its main raw materials, is the focus of public attention in recent years. "China Business" reporter learned that the development of waste oil "biogas" has broad prospects, the conversion rate of more than 80%, but biodiesel manufacturers have long suffered shortage of raw materials also led to the relative slow development of the industry in recent years abroad. The outlook is promising. According to the medium and long-term development plans, the annual output of biodiesel in China will reach 2 million tons by 2020. Biodiesel is a high-quality clean diesel oil produced from renewable raw material oils. Compared with conventional diesel oil, biodiesel has excellent environmental characteristics and is easily biodegradable. According to the medium and long-term development plan, by 2020, China's annual output of biodiesel will grow to 2 million tons. Biodiesel EU research data show that vehicle fuel blended with 20% biodiesel can reduce particulate emissions by 14%, total carbon oxide emissions by 13%, and CO2 emissions by more than 70%, respectively, compared to the corresponding petroleum diesel. "In the context of the country's efforts to promote energy conservation and emission reduction measures, the biodiesel industry is expected to usher in the golden period of development during the 12th Five-Year Plan period," said one analyst with the energy industry in the firm. In 2012, China produced 171 million tons of diesel. If 5% of biodiesel is added per ton of diesel, Chinaâ€™s demand for biodiesel is 8.5 million tons in 2012, but Chinaâ€™s existing domestic biodiesel production is only 1 million tons. Market prospects. â€œThe prospect of converting waste oil into biodiesel has been favored by the industry. The conversion rate of refinery manufacturers is generally above 80%,â€ said Liu Mengkai, analyst at Zhuo Chuang Information Technology. An investment advisor of HeRui Assets is more optimistic that with the continuous upgrading of technology, the conversion rate of â€œdrain oilâ€ to refine biodiesel can be increased from the initial 70% to 98%. In other words, 1 ton of waste oil can be used to extract 980 kilograms of biodiesel, and the output ratio is surprisingly high. According to public information, Jiangsu Clean Environment is a professional kitchen waste and waste oil recovery company. Through technology cooperation with Tsinghua University, they have converted waste oil into biodiesel with an efficiency of 95%. As a kind of high-quality clean diesel oil, waste oil has a very broad application prospect. Before this, a Boeing 737 aircraft from the Royal Dutch Airlines took 171 passengers and flew from Amsterdam to Paris, becoming the first airline to use domestic kerosene to refine aviation kerosene. The reporter was informed that biodiesel application business opportunities have attracted the attention of large-scale state-owned enterprises such as Sinopec in recent years. In recent years, PetroChina, Sinopec and CNOOC, the three major oil companies, have successively announced their entry into the biodiesel sector. Most private enterprises had previously entered the industry. Call for policies China has an encouraging and supportive attitude towards the development of biodiesel, but it has not followed up on the implementation of taxation and subsidies. The interviewed companies and experts believe that the fundamental solution to the problems faced by biodiesel companies is to strengthen supervision and subsidies. Otherwise, the prospects for the development of enterprises and industries are hardly optimistic. The reporter noted that the development of domestic biodiesel has been relatively late and it has been more than ten years. However, domestic biodiesel has undergone several twists and turns in the fuel market, and so far there has been no good development. In contrast, global biodiesel production increased from 83,000 tons in 2001 to 22.9 million tons in 2013. The EU, the United States, South America, and Southeast Asia have all become major producers of biodiesel. Liu Mengkai believes that from the favorable policies that have been continuously introduced in recent years, it can be seen that China has an attitude of encouragement and support for the development of biodiesel, but it does not follow up on the implementation of taxation and subsidies. In foreign countries, in addition to adopting strict management methods for waste oil recovery, many national governments have more government subsidies and tax revenues, thus ensuring the source of refined biofuels to a certain extent. Some experts suggest that the state can accelerate the development of the industry through direct subsidies. At present, the United States provides direct subsidies for biodiesel production. According to US regulations, biodiesel can enjoy a subsidy of US$1 per gallon, which is equivalent to 1,896 yuan per ton, by blending biodiesel into ore diesel. In addition, the industry also calls for greater punishment and supervision of the sale of cooking oil. â€œThe outlook for the industry is good, but it is now confusing. If the countryâ€™s regulatory issues are not handled well, the subsidy policy will not be of any use to our company,â€ said Mr. Lu. According to Liu Mengkai, the national energy security issue remains a major concern. In the Twelfth Five-Year Plan, alternative fuels such as bio-diesel and methanol and gasoline will be the main promotion projects. If the promotion is successful, the bio-diesel industryâ€™s long-standing policy is expected to be followed. The shortage of raw materials for â€œlack of foodâ€ and the narrow acquisition channels have led some refineries to be in â€œstarvationâ€ status for a long time. Although the prospects for the development of biodiesel are optimistic, the shortage of raw materials is still the main bottleneck for the transformation of waste oil into biofuels. In an interview, the reporter learned that the conversion of waste oil into biofuels has almost no technical difficulties. However, biodiesel has gradually entered the â€œright trackâ€ and it has also exposed a problem. The shortage of raw materials and the narrow acquisition channels have resulted in some refineries. The manufacturers are in a state of "starvation" for a long time. According to industry sources, the main reason for the slow development of the biodiesel industry is the shortage of raw materials. The supply of edible oils and oils in China has been in a state of shortage for a long time. Soybean oil, rapeseed oil and other raw materials cannot be widely used in the refinement of biodiesel. Currently, the important resources for the development of biodiesel in China are acidified oil, waste oil, etc. Statistics show that the total resources Nearly 10 million tons of annual production. Liu Mengkai told reporters that the amount of waste oil flowing into refinery companies is less than half of the amount each year, and it mainly flows to restaurants, chemical industry, or is treated as waste. The reporter was informed in the interview that the existing acquisition of â€œoil wasteâ€ is very scattered and there is no perfect source framework for formal channels, which is undoubtedly a challenge for oil refineries. According to Liu Mengkai, in addition to the acquisition of a number of manufacturing companies, the Northeast and Southwest have become raw material collection points. In addition, the production costs of waste oil are high, and to a certain extent, it also restricts the development of biodiesel companies. "In the early years, people treated the waste oil as waste at a very cheap price, but as the price of oil is known to be soaring, the refinery manufacturers that use it as raw materials are no longer cheap," said Liu Mengkai. Many black-hearted merchants have sold refined oil such as waste oil to the food processing industry. In their view, converting processed food oil into biodiesel is not as profitable as direct reflow dining. This has led to soaring oil prices, which can be used to refine biodiesel. The waste oil is extremely limited, which greatly restricts the size of the biodiesel industry. 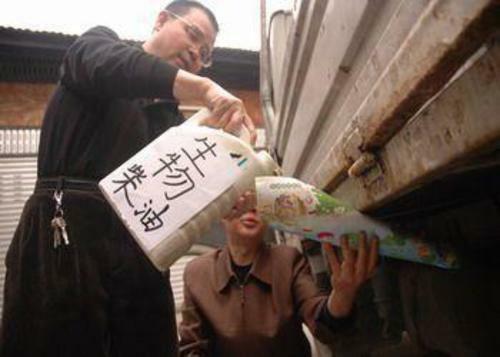 Mr. Lu, who heads a biodiesel company in Wuhan, told the reporter: â€œThe cost of cooking oil is still very high. Our company's profitability has dropped significantly in recent years and it is difficult to operate.â€ The company is a modern bio-new energy R&D, production and technical service. As one of the high-tech enterprises. "If we do not reduce the cost of raw materials, many of our small and medium-sized enterprises will have a hard time surviving, because one ton of waste oil converted into biodiesel in the past few years could earn between 3,000 and 4,000 yuan, but now it is less than 1,000 yuan and profits are getting less and less." Mr. Lu feels helplessly. Some media have calculated accounts for enterprises in February of this year. The price of the acquisition of waste oil is currently as high as 4,325 yuan per ton, and the processing cost of biodiesel is generally around 2,000 yuan per ton, and the selling price is about 6,367 yuan per ton. Money can be earned. For refiners, besides the higher prices of raw materials, the large fluctuations in the price of biodiesel are also a headache for them because biodiesel fluctuates due to the impact of international crude oil prices. â€œThe average production cost of biofuels is higher than that of fossil fuels, and its sales are also very vulnerable to the impact of international crude oil price fluctuations. If the crude oil prices are low, the refining of waste oil can only be a 'compense-making waste'.â€ Pointed out.